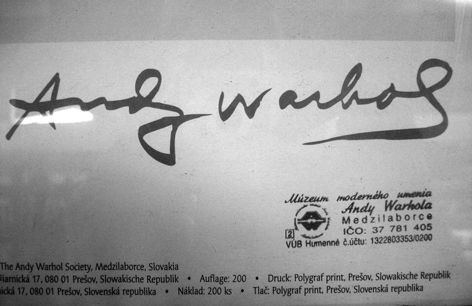 WARHOLCITY • Medzilaborce • Slovakia • Europe is home to the Andy Warhol Museum of Modern Art, opened in 1991. Our museum contains many artworks and effects of Andy Warhol and of his brother Paul and nephew James Warhola. Warhol's mother, Julia Warhola, was born and lived with her husband in the village of Miková, 17 km (10 miles) to the west. It's the museum with the second largest collection worldwide after Pittsburg's Warhol museum.